We know you love those old tees you've been wearing for work, but they're really showing their age, and this Wrangler Riggs Men's Forest Green 3W700 FG Short Sleeve Pocket Tee Shirt is the perfect upgrade. This tee shirt design is one rugged piece of workwear an ... (see full details) (see specifications) #WRG3W700FG. We know you love those old tees you've been wearing for work, but they're really showing their age, and this Wrangler Riggs Men's Forest Green 3W700 FG Short Sleeve Pocket Tee Shirt is the perfect upgrade. This tee shirt design is one rugged piece of workwear and is made from long-lasting 7-ounce 100% ringspun cotton jersey. You'll love the natural breathability against your skin, and this fabric is durable, so you can count on it through lots of wear and laundering. For all-day comfort, the roomy relaxed-fit construction design gives you plenty of room to move. For durability and added comfort, it features vented, taped side-seams and a taped neck seam. Thanks to the tagless label, you can say goodbye to scratchy tags. And for storage and convenience, there's a chest pocket and a hidden utility loop. Yes, this cotton top was built with working people in mind -- but it's also a perfect choice for a Friday night, Saturday yard work, and even watching that big game on a Sunday afternoon. For work and casual wear, this Wrangler Riggs Men's Forest Green 3W700 FG Short Sleeve Pocket Tee Shirt is a perfect choice. Available in a variety of colors, too. Order one for every day of the week, right here at Working Person's Store! 134 out of 134 people found this product review helpful. I always thought that the Carhartt brand Shirts were the best, but I agree with the other Reviewers, these Wrangler Pocket Tees are equally as Nice as the Carhartt brand Shirts, and they are actually a bit heavier grade Shirt too. I have this Forest Green Wrangler Shirt and it is every bit as good as my Carhartt Shirts. These Wrangler Shirts look good and Wash up Nice, and they seem to run true to size. I plan to buy more of these Wrangler Tees in different colors, and I would highly recommend them to others! Great Shirts!!! 70 out of 70 people found this product review helpful. These are THE BEST work shirts, period! I'm wearing my forest green shirt I bought three years ago right now and it's just as durable as when I first bought it. These are heavier and better-made than Carhartt shirts, which I used to wear until these. If you need a shirt to wear, daily, at your job, this is the one! 58 out of 58 people found this product review helpful. These shirts hold up great - I would say just as good as the Carhartt pocket t-shirts. All my husband would wear for work was Carhartt until I purchased a few of these and he loves them!! Nice Wrangler t-shirts. I can get lots of wear out of them. When they get worn looking for wear I cut them up for wipe rags in the shop. All of the lint is washed out of them by then. This the only t shirt I will actually pay money for. I just wanted to tell you guys how fantastic your service is. I ordered a pair of Bates M9 Desert Assault Boots with the free shipping. Your website said it would take 10-14 days, if I remember correctly. That night there was a $1 hold on my card, and THREE days later the boots were delivered! Wow! You guys are great! I've never had service that good. Thanks so much! 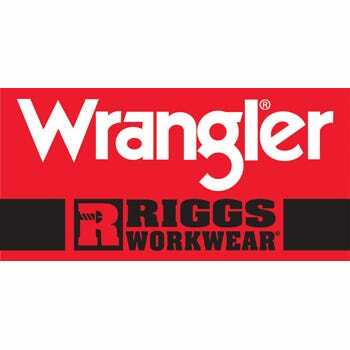 Wrangler Riggs Shirts: Men's Forest Green 3W700 FG Short Sleeve Pocket Tee Shirt is being added to your cart.